Berkeley, California’s “gourmet ghetto” was a major influence in the transformation of the American table. There, out of the counterculture, a community emerged that was committed to finding and making good food. Their search led them to fresh, local, seasonal, and artisanal foods. Alice Waters and the restaurant she founded, Chez Panisse, were part of this extended community that cooked, baked bread, made cheese, raised goats and poultry, farmed vegetables, and foraged for wild foods. The Bay area’s pioneering reinvention of local food was coupled with its renewed interest in importing items such as quality coffee and olive oils. These trends reverberated elsewhere, changing the types of food available to Americans throughout the country. Waters encouraged people across the country to think about and support the local, artisanal production of food. Chez Panisse restaurant, the cornerstone of the Berkeley gourmet ghetto, was the center of a commitment to the sourcing and presentation of food that was fresh, local, organic, seasonal, and delicious. The Zinfandel Dinner, which became an annual event, acknowledged the new excellence of American wine. Gift of Darrell Corti. 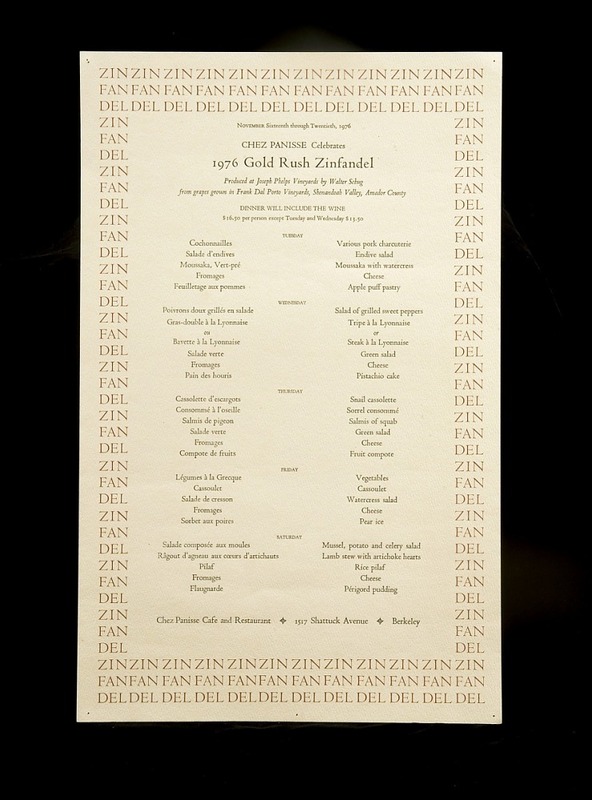 This menu, designed by Patricia Curtan, features the restaurant’s giant copper cauldron. The dinner paid tribute to the cuisine from Provence, with food and wines from the south of France. On occasion, this huge copper pot sat in the wood-fired hearth at Chez Panisse. Filled with a bouillabaisse, the Provence-style fish stew, the giant cauldron represents the restaurant’s aspirations to inspired cooking and fresh ingredients. To celebrate its twentieth anniversary, Chez Panisse commissioned this poster from artist David Lance Goines to honor its local suppliers. 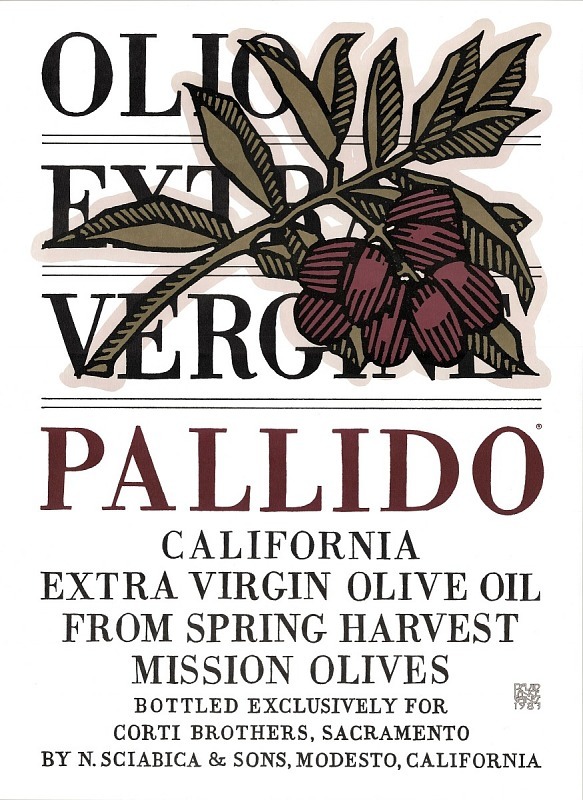 This poster by David Lance Goines was commissioned by Corti Brothers Grocery in Sacramento to celebrate the introduction of some of the first extra-virgin olive oil made and sold in the United States. Many credit Corti for introducing high grades of olive oil, balsamic vinegar, and other foods that have become staples across America. Gift of Darrell Corti.